You can scour the internet and find a MILLION chocolate chip cookies that claim to the be the best tasting ever! 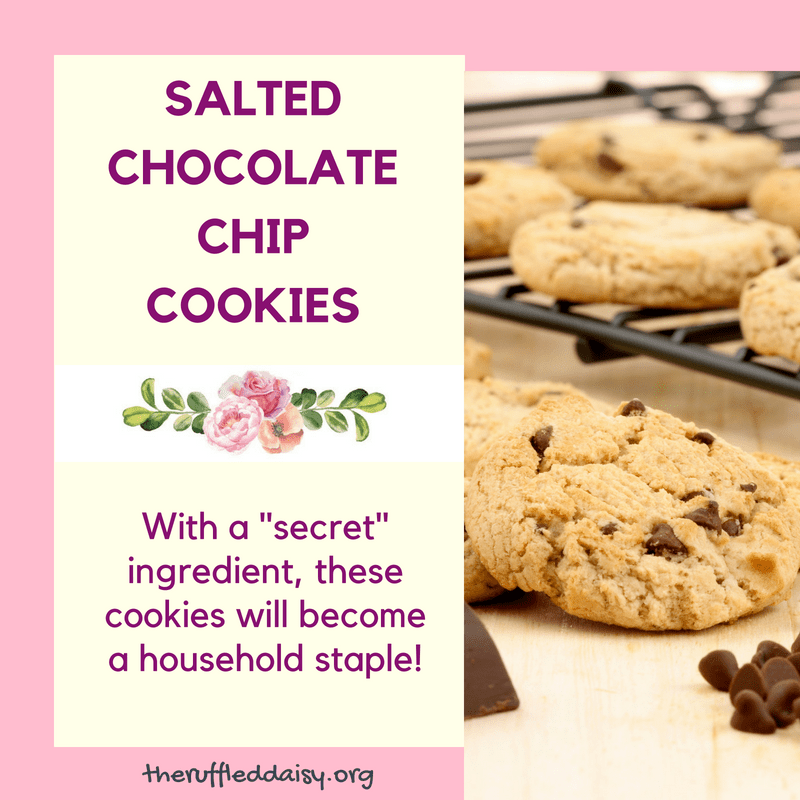 I’m going to encourage you to try these Salted Chocolate Chip Cookies and claim them for yourself as your go-to recipe! I’m sure you can recall a time in your childhood that you gathered in the kitchen with your grandma baking cookies or other desserts! 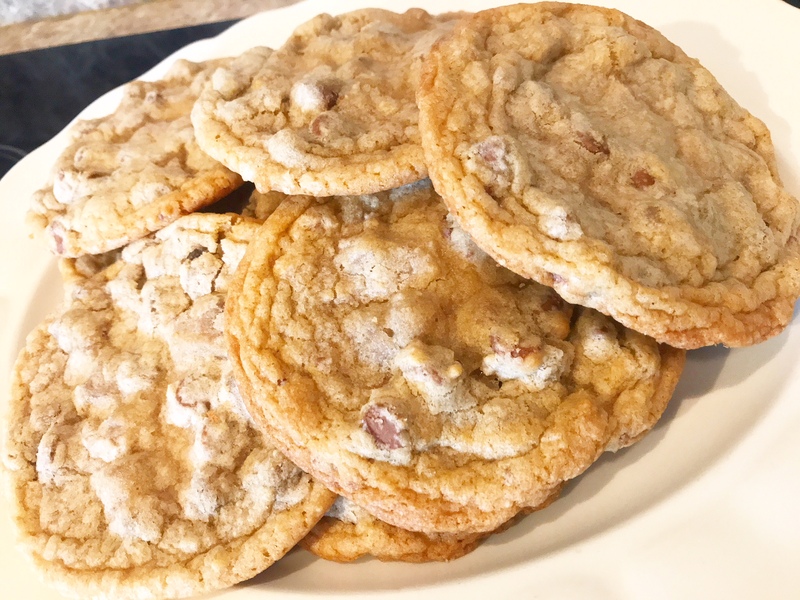 When my son tasted these he said “You know grandma’s make the best cookies and these are the best!” I guess it took me getting to the grandma stage to perfect the recipe. This is one that I will make time and time again for my children and grandchildren and hope they can pass it on to generations after me. Consider it a “treat” that I’m passing onto you! Personally, I like to taste a little bit of salt in my chocolate chip cookies! BUT that’s not the secret ingredient! The sea salt in this cookie provides the prefect complement to the rich chocolate flavor! My oldest boy turned his nose up when I said there were “salted” and in the end he ate MORE than his fair share of the batch. Thank God for being young and having good metabolism! I can only imagine what I would feel like after eating close to an entire batch of cookies. So what’s the secret ingredient you ask? That’s right – this goodness right here! The makeup of the malted milk gives this Salted Chocolate Chip Cookie the best consistency and brings a SLIGHT malt flavor. 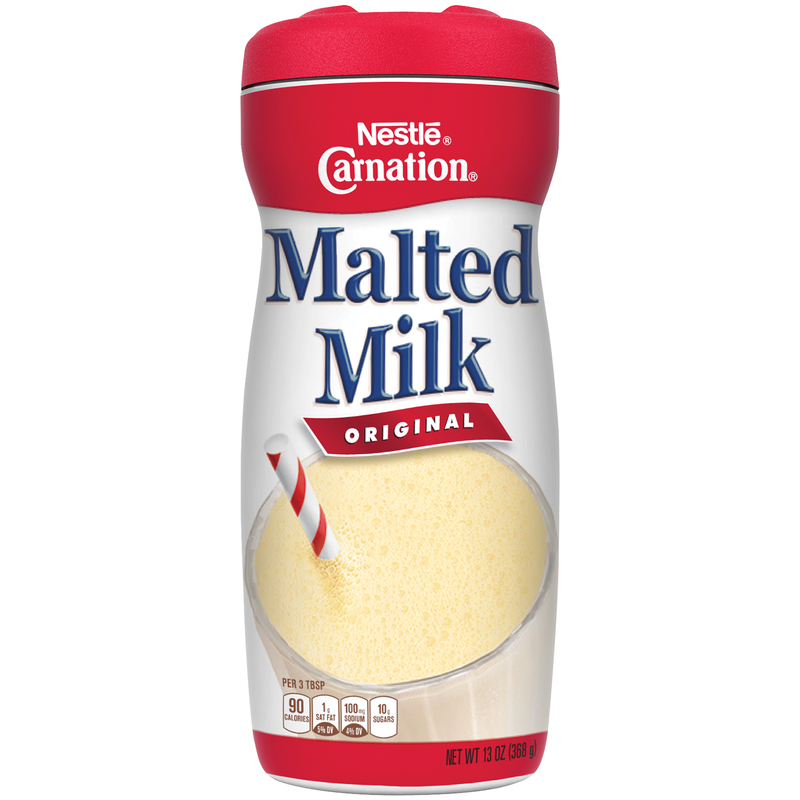 Don’t worry; if you’re not a fan of malt though, it isn’t overwhelming. My other favorite – milk chocolate chips versus semi-sweet chocolate chips! Here are some more TIPS to help improve your cookie making skills! USE REAL VANILLA EXTRACT – here is my go-to recipe. This really does make all the difference! These tips will guarantee perfect cookies almost every time! Now, you can get on to making your own Salted Chocolate Chip Cookie! 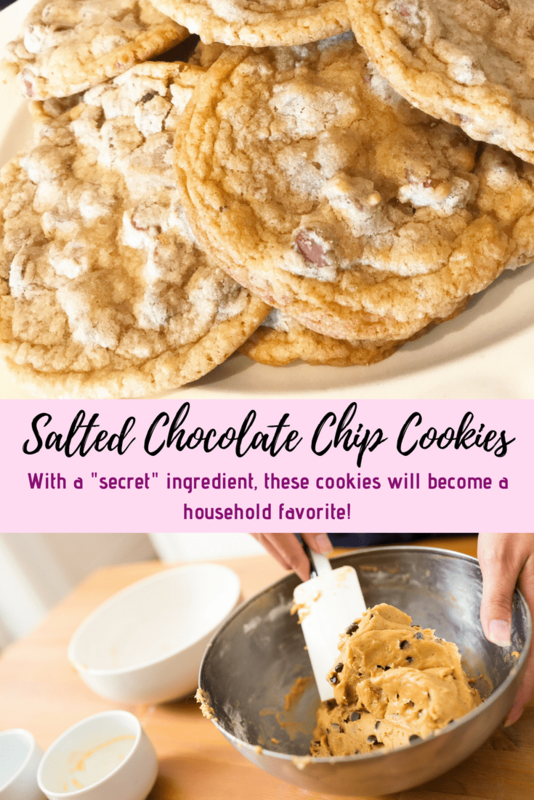 These salted chocolate chip cookies have a "secret" ingredient that will make them a household favorite! With a stand or hand mixer, combine room temperature butter and sugar. In a separate bowl, combine flour, baking soda, malted milk and salt. Slowly mix into egg and sugar mixture. Add milk chocolate chips and stir together with a wooden spoon. Bake for 10-12 minutes or until edges are slightly brown and tops of cookies look slightly undone. Allow cookies to slightly cool and them remove to a cooling rack. You can PIN this image on your Pinterest boards and share it with your friends! Make sure you also save this for Christmas for your yearly cookie exchange! Holiday cookies don’t have to be complicated especially with this Salted Chocolate Chip Cookie recipe!